As President, Jennifer Morris provides strategic leadership and is responsible for delivery of the organization’s programs. She previously served as CI’s chief operating officer. With 20 years of experience in international conservation and economic development, Jennifer has created and implemented cutting-edge initiatives working with diverse partners — from indigenous communities to multinational corporations — to achieve CI’s mission of protecting nature for the well-being of humanity. This includes oversight and direction for the Global Conservation Fund, which has helped protect more than 80 million hectares (197 million acres) around the world, invested US$ 66 million and generated more than US$ 1 million in wages for local economies, and CI’s Verde Ventures program, whose business partners today employ nearly 60,000 local people in 14 countries and protection and restoration of more than half a million hectares (1.2 million acres) of important lands. Prior to joining CI in 1997, Jennifer was a business development consultant with a micro-finance institution and has lived and worked in Japan, Namibia and Bolivia. She serves on the boards of several organizations including the SEED Initiative, the Conservation Strategy Fund and the Natural Capital Coalition. She is a frequent presenter at international conferences, corporate events and universities on issues related to conservation finance, corporate engagement and social impact investing. 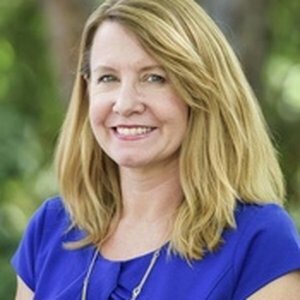 Jennifer has a master’s degree in international affairs with a focus on business development and micro-finance from Columbia University’s School of International and Public Affairs and a bachelor’s degree in political science from Emory University. She currently lives in Washington, D.C., with her husband and daughter.